WOOL PACK Only. 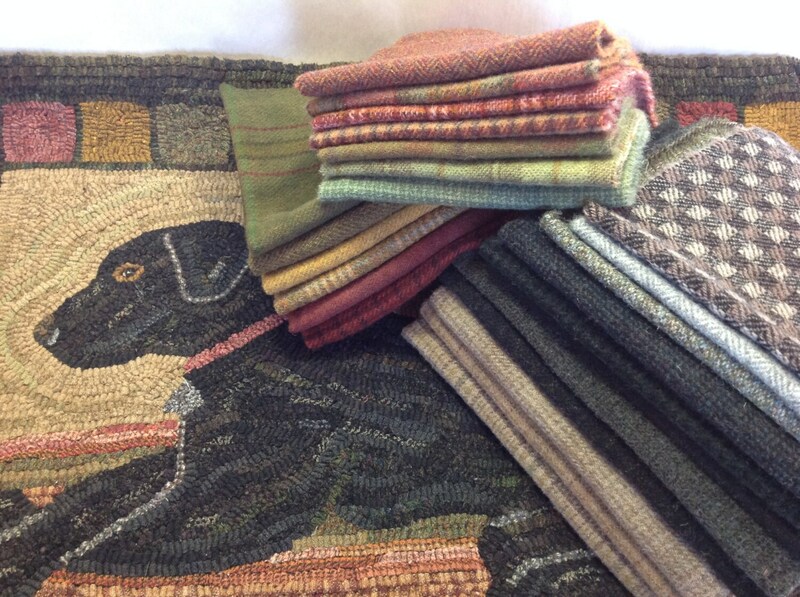 Can be used to hook "Burnie the Labrador" rug hooking pattern or wonderful colors to add to your stash or work on a project about 24" x 32". This is not a KIT. It does NOT contain the pattern or instructions on how to hook. In the option box, choose to purchase the wool pack "uncut" (as seen in the photos) or cut in an 8 cut, (1/4" wide strips). 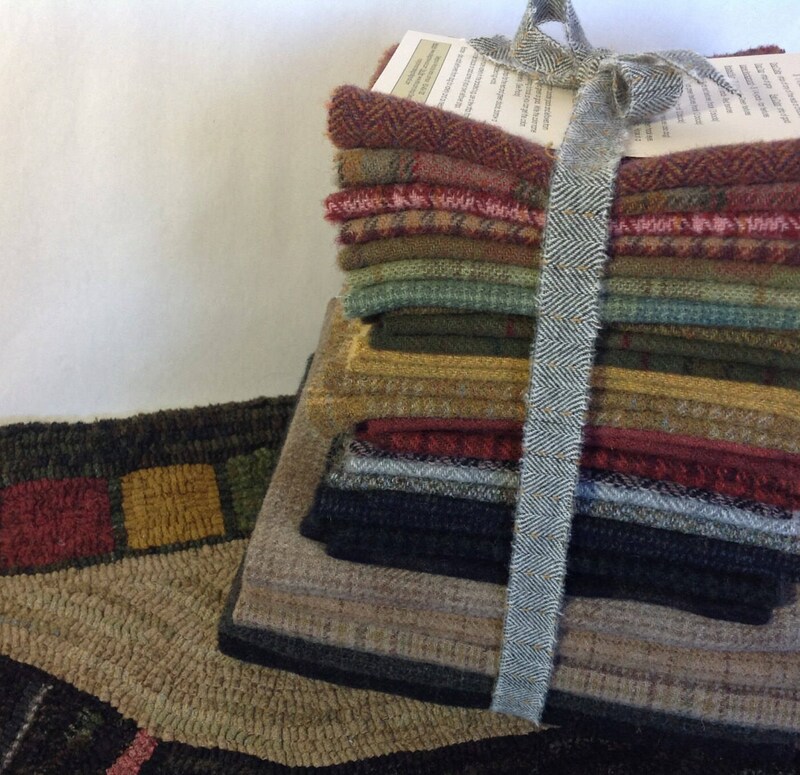 This wool pack includes 3 yards of 100% wool fabrics that are hand dyed and mill dyed, washed and prepared (fulled) by me. A listing of wool and where to use them is included in the pack. It is a generous amount for the pattern so that you will not run a risk of running out of wool. However, if you hook higher or tighter than I do or with a wider cut or narrower cut, you may need more wool and are welcome to purchase additional. This wool pack is also very suitable for wool applique, sewing and craft projects. 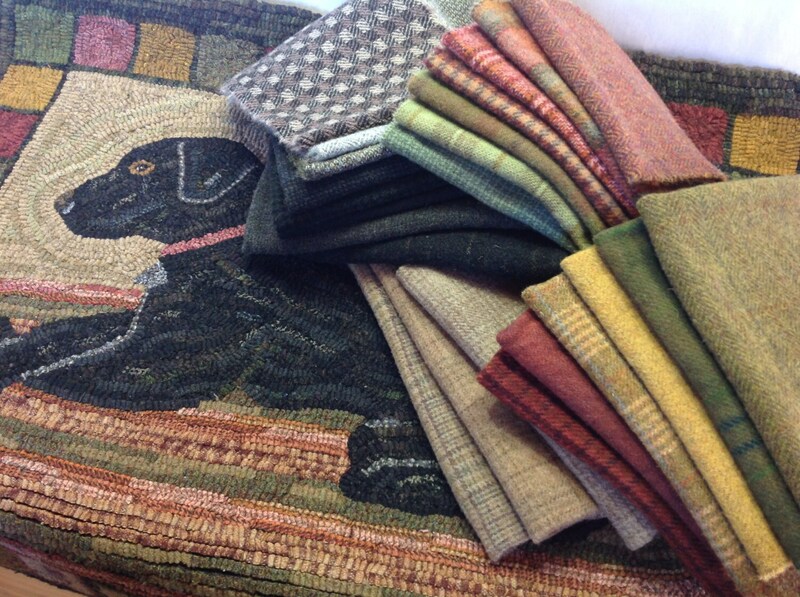 The wool selections differ slightly from the original version, but it will look very similar to the rug in the photo.